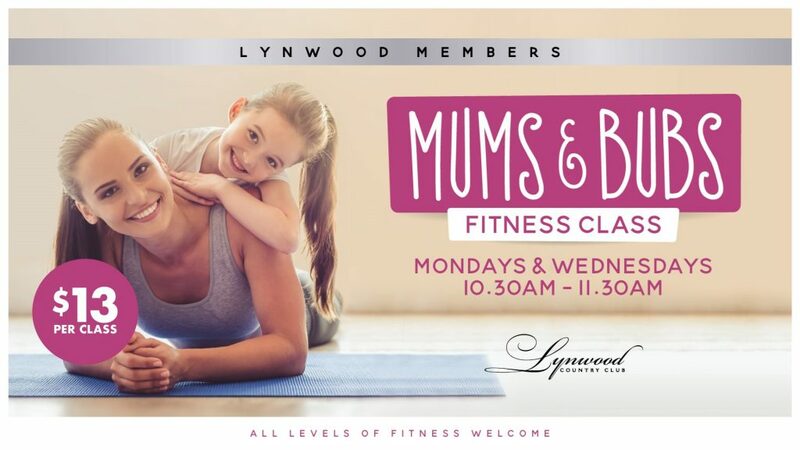 Lynwood Country Club has an active role in the surrounding community, providing necessary sponsorship and club grants to sporting clubs and charitable organisations. In 2016/17 the Castle Hill RSL Group donated over 2 million dollars to the community, including such organisations as ONE80TC, The Conviction Group and many more. The Group prides itself on making a difference and giving back to all of our members and the community. Our partnership with The Cancer Council on the course promotes the use of sunscreen and other sun smart activities all year round. Our Junior Golf Scholarships identify the area’s up-and-coming golfers and helps them to reach their full potential at Lynwood. As the community grows around Lynwood, we intend to not only grow with it, but to be at the heart of it. Community Groups in the Hawkesbury have an opportunity to formally apply to registered clubs in their local area for funding for various community-related projects. The funding is made available from profits generated at these clubs from gaming. The ClubGRANTS Scheme (formerly the CDSE Scheme) was established to formalise this funding process. The ClubGRANTS Scheme was designed to ensure that larger registered clubs in NSW contribute to the provision of front-line services to their local communities; and to ensure that the disadvantaged in the community are better positioned to benefit from the substantial contributions made by those clubs. Category 1 funding is specifically for local projects and/or services that contribute to the welfare and broader social fabric of the local community and are aimed at improving the living standards of low income and disadvantaged people. These projects encompass Community Welfare & Social Services, Community Development, Community Health Services and Employment Assistance Activities. Category 2 funding is generally for projects not listed or eligible for Category 1 funding such as Sport and Recreational Clubs, Cultural Activities – Visual/Performing Arts, Charity Fundraising, Medical Research and in-kind services such as Complimentary Room Hire, Fundraising Products and Prizes and Training Facilities for Elite Athletes. Category 3 funding is automatically paid by the club into the NSW Government’s ClubGRANTS Fund on a quarterly basis to support and develop large scale State-wide projects or services such as Sports Venues and Facilities, Hospitals and Community Health Services, Youth Facilities, Child Care Facilities, Aged Care Facilities, Educational Facilities, Emergency Services Facilities, Parks and Recreation, Community Housing and Community Transport. Community groups are encouraged to apply for Category 1 or Category 2 funding by downloading and completing the relevant form and returning it to Castle Hill RSL, P.O. Box 25, Castle Hill, 1765 or emailing directly to bradenk@castlehillrsl.com.au along with all supporting documentation. All applications are reviewed by the Board of Directors on a monthly basis and are either approved or rejected depending on their merits and the amount of funding available at the time. If you are unsure which category of funding your organisation may be eligible for, please contact the club and ask for advice from the ClubGRANTS co-ordinator. Banktech is a leading ATM and gaming solutions provider that manages its business end-to-end, delivering products, technology and services that add value to your business. This end to end control allows Banktech to deliver more opportunities that provide real value and efficiencies to help increase customer satisfaction, lower costs and increase profits. A technology driven organisation that is geographically and operationally diverse, with operations in Australia and Asia Pacific. We manage over 15,000 terminals across the region and process over $1 billion worth of transactions a month. Banktech has a proven track record of more than 20 years working with Australia’s leading financial institutions, clubs, hotels and casinos. We have built our reputation by offering high quality, secure, in venue cash management solutions that are supported by the industry’s most responsive and reliable customer service team. Our range of innovative products include ATM’s, Cash Redemption Terminals, Intelligent Safes, EFTPOS Terminals and Gaming integration products and services that are guaranteed to help streamline your business. Consulate Finance is a specialised finance brokerage, our clients include businesses and individuals. The experienced team has combined finance experience & knowledge of over 70 years. Consulate’s team focus on building client relationships and understanding each client’s priorities and needs to ensure the most competitive package is achieved. Products include Commercial Hire Purchase, Chattel Mortgage, Lease, Rental, Personal Loans, Insurance Premium Funding, Business Loans, Residential & Commercial Mortgages. Services include Transport, Equipment and Property Finance, Transactional Banking & Split Banking Packages, Refinancing, Insurance Services, Vehicle Sourcing, Private Sales, Sale and Hireback. Direct accreditations are held with all the major banks and second tier lenders. Consulate Finance is a part of the RTF Finance Group which has been in business since 1994 and is located in company owned premises at Norwest Business Park. “Our objective is to provide a professional service and competitive pricing. If you have a specific financing need, we can provide a unique and tailored solution. We are driven to make a difference”. 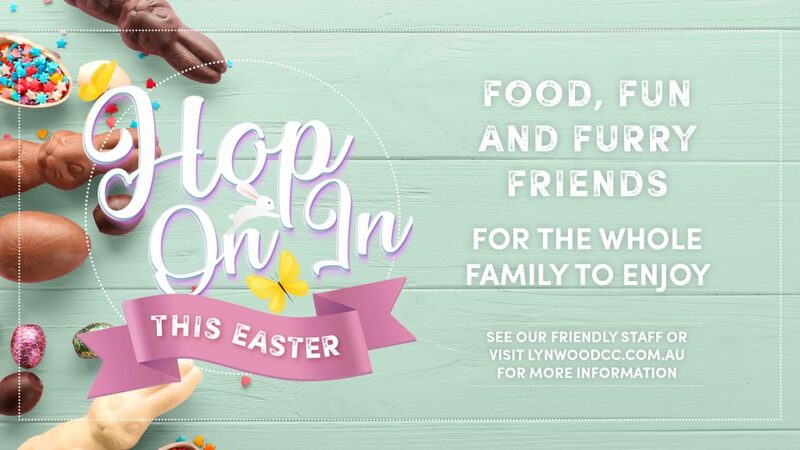 Consulate Finance is a proud partner of Lynwood Country Club and The Castle Hill RSL Group. O.Ryan’s Airconditioning Pty Ltd was established in Sefton NSW in August 1998 and specialises in the design, installation and service of air conditioning systems for commercial and industrial venues across the greater Sydney region. O.Ryan’s Airconditioning has extensive expertise in quality design and installation, mechanical ventilation and preventative maintenance in the Hospitality industry, Aged care facilities, Schools, Commercial buildings and High rises. Some of our valued clients include; Castle Hill RSL Group, Dougherty Apartments, Earlwood Bardwell Park RSL, Frensham School Mittagong, Gladesville RSL, Jersey Towers, Residential Gardens, Suttons Motor Group, The Galleria Woolloomooloo, The Junction Works and Trivett Classic. Our qualified service technicians provide routine preventative maintenance during business hours, with an emergency after hour’s service to cater for our many clients varied operating hours. For breakdowns we offer a prompt, reliable and cost effective service which ensures minimum inconvenience. We install and service all brands including Panasonic, Daikin, Mitsubishi Electric, ActronAir and Temperzone to name a few. Catering Equipment Repairs Pty Ltd was incorporated in October 1987. Our office and workshop premises are located at Kirrawee, south Sydney. We provide service for all Sydney metropolitan area from Hornsby to Glenbrook ( Blue Mountains) to Watson Bay, Eastern suburbs and the southern region. The company is owned and managed by Stephenie Charlton and Stephen Shanks. Stephen Shanks is a Process Control engineer and qualified electrical contractor with over 30 years experience in electrical systems, parts and manufacturing of spare parts. CER is a member of the National Electrical Contractors Association. CER employees 6 electrical technicians with gas experience and have many years of combined experience in the commercial cooking equipment repairs. Our technicians attend regular training courses held by the various equipment manufactures to ensure their equipment knowledge is constantly updated. We have senior technicians who have been with CER for 10 – 18 years. Australian Defence sites, Defence Ships, Sydney Airport lounges, Major Clubs, Hospitals, Aged Care Villages, Retirement Villages, Large entertainment and sporting venues, 5 star Hotels, TAFE College training kitchens and canteens, Production and catering kitchens, Clubs and Find Dining restaurants. We provide reactive service for break-down 24/7 for regular customers. Preventative Maintenance Service- we advise you when your next service is due. We use professional Service Manager software to assist in providing excellent service. We employ a full time Spareparts person to expedite wait time and turn around for spareparts. We put Asset ID stickers on each and every piece of equipment serviced – creating a database for your equipment and provide professional reports at the end of every preventative maintenance service. We can also provide expenditure on your equipment and make recommendations when equipment needs replacing. Cold-Rite Refrigeration provides a full range of commercial and industrial refrigeration Solutions. We have a fleet of mobile workshops available for breakdown service, installation or planned maintenance throughout the greater Sydney metropolitan area extending to the Blue Mountains, Central and South Coasts. We know that continuous, trouble-free refrigeration plays a critical role in the success of our customers’ business. We pride ourselves on our high level of technical expertise and ability to maintain close personal contact with our customers. We use the latest monitoring and control technology to ensure our customers’ plant runs within the specified parameters. If there are any problems we address them quickly and efficiently through our 24hr Callout Service Available 365 Days a Year on 1300 336 628. For over twenty years EP&T has been delivering innovative energy efficiency and environmental solutions for asset owners around the world. By combining our EDGE technology with our team of multi-disciplinary engineers, we provide a unique approach to achieve significant financial savings in energy, water and waste. Energy efficiency is our sole focus: EP&T is an Australian company with a global footprint. We deliver savings through operational efficiency improvements. Blue chip clients: We deliver efficiency savings across a range of blue chip clients and sectors including clubs, commercial, hospitality, health, university and retail sectors. Branding: EP&T works closely with clients to achieve branding benefits. Our clients have achieved the number 1 ranking in the Dow Jones Sustainability Index. In-house R&D with vertical integration: We design, manufacture, install, commission, service and operate EDGE technology, including firmware and software. Validation: EDGE technologies enable clients to underpin all other initiatives such as capex upgrades, by verifying the performance and ensuring maximum return on future investments. Best Practice: EP&T drives best practices in relation to energy and operational efficiency with client staff and management team. Industry leader and multi-award winning Turrell Building Services was established in 1993 and has since continued to create innovative and exceptional indoor and outdoor living spaces and places that people just want to “Live”. Managing Director and Creative Designer Neil Turrell, together with his dedicated team, share in a vision and passion of building lifestyle dreams through excellence in design, development, construction and management from concept to completion. Located in “The Hills District”, the heart of Sydney’s North West, Turrell’s entire culture and philosophy is built around the company’s founding principles of excellence in building and good old-fashioned service. Turrell specialises in innovative and quality new homes, extensions, renovations and entertainment areas. We also mange any integration required with pools and landscaping. Matrix Norwest has been assisting individuals and businesses with their investment and insurance needs since 1983. With over 30 years of experience you benefit directly from our long history of working in the financial services industry. Matrix Norwest are not tied to any large financial institutions or banking corporations, hence our responsibility is to provide you with the most competitive products available in the market. We aim to ensure that your total experience in dealing with our company is professional, friendly, responsive and is tailored to your needs. Our goal is to provide you with the peace of mind that your financial future is secure. Intellect Projects Group is a technology company focused on providing reliable, robust solutions that provide leading edge results for our clients. We specialise in Communications, Digital Signage, Audio Visual Systems, IT Solutions, Data Networks and Unified Communication. IPG has developed and produced high quality solutions for a range of clients within the Retail, Government, Hospitality and Corporate sectors. This includes developing and producing the largest video wall in the Southern Hemisphere for the Rural Fire Service, Audio Visual Systems for Castle Hill RSL and Conferencing systems for Lion. During his time at Panthers, Steve van Zwieten, became a leader within an industry that was evolving from the era of the “bouncer” to one of the “security professional”. A positive move but, for Steve, the evolution was only partially complete. The time was ripe to scale the next height. He conceived the idea of “customer-service oriented security services”, services that play a positive role in customer relations while simultaneously protecting people, buildings, and equipment. Even attaining this, there are new heights to scale. Steve’s goal was to enable security operatives to reach greater personal and professional achievements. He believes that quality mentoring and training can unlock greater potential for each individual, making stronger team members with better skills in both leadership and management. The best personnel operate within systems and can be somewhat limited by those systems. The best security operative will always perform best but when complemented by quality electronic security systems, the result is an overall operation that can add to a businesses bottom line. Security Personnel – only the very best operatives can survive Exact’s selection processes. Training – Exact places a high priority on training its personnel. Clients are invited to participate. Exact also offers specialized and specific training for venues. Electronic Security – electronic systems tailored to your needs and integrated by experts using the best possible and most suitable components. Hinchcliffe Electrical & Data Services is located Sydney, NSW. We’re Hills District electricians covering our local area through to the Lower North Shore. Our nearly 40 years of combined expertise covers industrial, commercial and domestic electrical installations, maintenance, repairs, and network and telecommunication cabling. We’re equipped with the latest knowledge and equipment to tackle almost any job – however complex – and take real pride in our work. We combine old-fashioned service with new-fashioned expertise, and it’s this approach which has kept us in business for over 30 years. Exceeding our customers’ expectations – whether industrial, commercial, or residential. Alpha Alarms is an independently owned company, which commenced operations in 1984. We are an ASIAL (Australian Security Industry Association Limited) member, and as such are accredited by all major insurance companies, government bodies and the various Australian Police services. We are proud to totally dedicate all necessary resources to ensure that the quality of our service is of the highest possible standard. We use the best available equipment, as set out in Australian Standard AS2201. We have built up an extensive client base including companies such as Castle Hill RSL and Parramatta RSL, Nutrimetics, Bristol Paints, Taubmans, Rexel Australia, John R Turks, McDonalds Franchises, KFC Franchises and Sydney Trains to name a few. With a properly maintained and monitored security system you are providing the best chance against loss of possessions and protection of your family or business. Beats Walkin Mini Bus are pleased to be able to offer you comfortable, reliable and competitive priced transport for you and your group. We are a family owned business with an excellent customer service record, drivers that are appropriately qualified, well maintained vehicles and the assurance that you will arrive safely and on time to your destination. We can provide transport for; Charter Services, Weddings and Parties, Corporate Services, School Transport, Airport and Boat Transfers, Courtesy Buses, Race and golf Transfers and Seniors and day Tours. We have a fleet of late model vehicles that can seat up to 13, 20 and 39 passengers all fitted with Air Conditioning and Seatbelts. So next time you need to travel somewhere with a group, visit our website at www.beatswalkin.com.au or call Stephen of 0402 222 111. Our specialty in the industry is renovating and adding additions to peoples pride and joy and making their old home more user friendly and up to date with current trends of living, giving advice along the way to help in any aspect of the build that we can. Fremont Design is dedicated to producing signs specifically for the club, hotel and entertainment industries and have award recognition by our signage industry peers. Fremont’s work ranges from complete renovation or new club projects to a single compliance sign. As well as custom signage, Fremont now has it’s creative services department, which is a pure design service covering everything a venue needs from logo design, posters, web to digital sign system management and everything in between. The other new offering is ‘Fremont digital’ which is exactly what it says in the title, digital signage such as single screens from menus, honour boards or advertising, bank end displays, video walls, outdoor LEDs and complete software packages. Event Cinemas is the ultimate experience for movie-goers. Complete entertainment precincts that offer state-of-the-art venues that deliver the ultimate cinema experience with quality food and beverage: from bars with extensive wines by the glass and highly trained baristas in the purpose built cafes, to Scoop Alley – our self-service candy bar, with delicious offerings of hot food, real coffee and our favourite frozen coke. The dining experience at Event Cinemas is far from being just about the popcorn. Then there’s our big movie experience – Vmax, with big seats, big sound and a huge 20 metre digital screen it all adds up to maximum impact. Or, our biggest star to date – Gold Class, the best luxury cinema experience in the world. With every seat, literally, the best seat in the house. To reward our valued loyal customers, Event Cinemas has developed the largest movie club in Australia – Cine Buzz Rewards. With over one million members the program is made up of students, seniors, kids and VIP’s. Our website continues to be the number one entertainment movie website in the country. Movies are the heroes of our mobile site and cutting edge smart phone app. They provide the up to minute session times, and the easiest way to choose your seats to see the latest blockbusters. TJK design provides you with the experience to complete your project from concept ideas to Full DA and construction plans for council and private certifier approvals. We will meet with you to discuss the most cost effective and efficient approach to your design and ideas. We use the latest computer software so you can see your project in 3D before it is even built. In summary we prepare the architectural plans for approval and liaise with the various consultants to provide you with a complete package for lodgement hassle free. Please call us so we can discuss your requirements and how we can help you. Lynwood Country Club provides a free and confidential service for Gambling and Financial Counselling.